Marc Jacobs has launched his makeup line. There are first novelties already. You can see the packages – they look very convincing and impressive. Several recent makeup launches (eg, CK One Beauty, Topshop Beauty) disappointed fashionistas by somewhat frivolous packages, although they were pleased by the quality of the palette. There have been new makeup lines (eg, Tom Ford and Burberry), which impressed mainly by their high quality packaging. This was noted by experts. The creators of the new Marc Jacobs Beauty line followed this way. They have created impressive bottles and tubes, so big that they will supposedly appeal to women as a symbol of luxury. 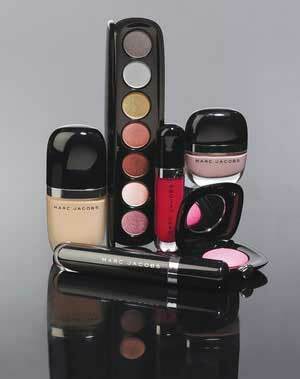 The first products from Marc Jacobs Beauty will be sold at Sephora in France and the UK.